Square dance down to Ripley's Old Mac Donald Mini Golf for great fun down on the farm. 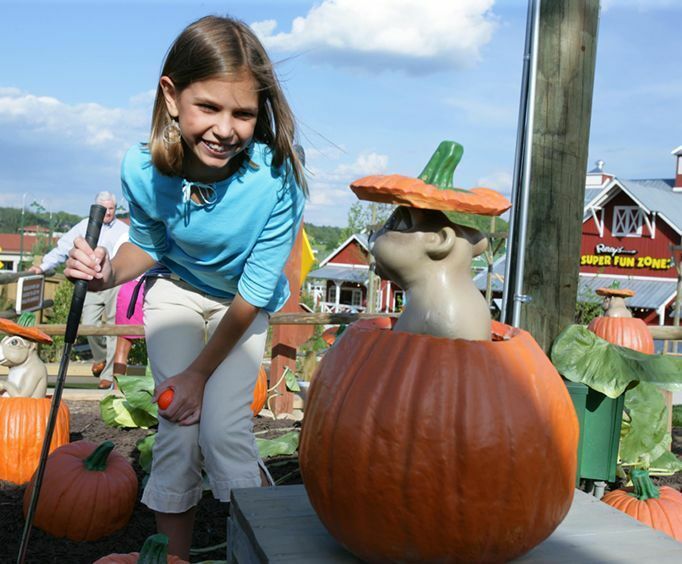 Enjoy interactive barn animals, entertaining scenery, and a whole lot of character while you play 18 holes of mini golf. 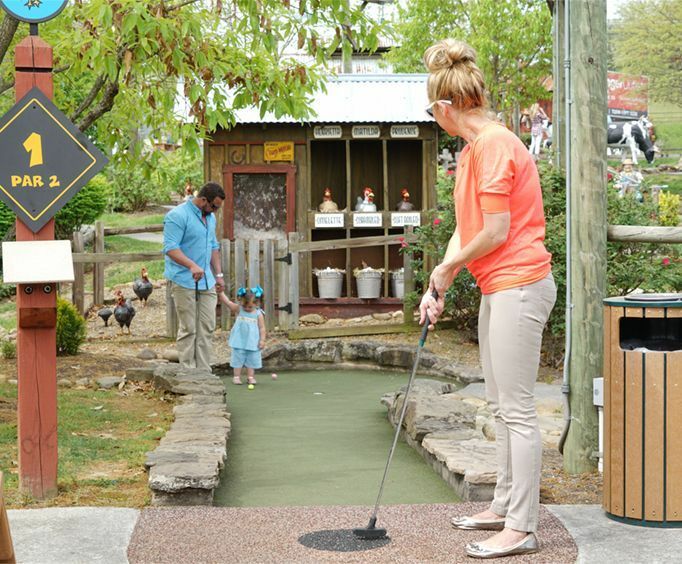 As you make your way through this family friendly mini golf course, be sure you're looking around at all of the quirky farm animals causing trouble around the farm. Cross over a bridge and observe fishing, diving, and sun-bathing piggies, and putt-putt around gophers that have dug their burrows in the way of your perfect shot! Flocks of sheep and herds of cattle graze and observe the scenery as you walk through the winding pathways to your next stop. The course is full of visual entertainment and color, as well as state of the art animatronics barn animals, cascading water features and comfortable greenery that will keep you shaded and cool during your visit. Learn the names of the animals around the farm as you navigate the mini golf course and test your arm to win a free game in front of a row of egg-laying hens. 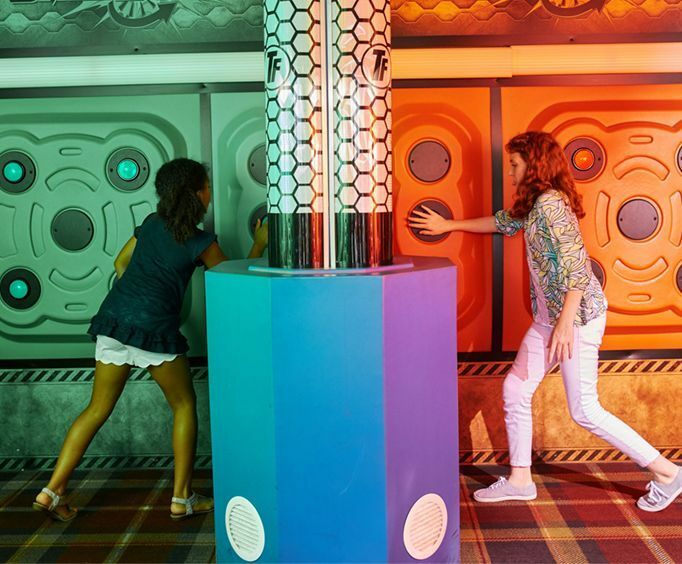 Ripley's Old Mac Donald Mini Golf is a wonderful destination to visit during your vacation to the Gatlinburg-Pigeon Forge area. The whole family will want to come back year after year to enjoy the atmosphere and fun of the golf course. What is included in the admission price for Ripley's Old MacDonald Mini Golf? Approximately how long could a customer plan to spend at Ripley's Old MacDonald Mini Golf? For what ages is Ripley's Old MacDonald Mini Golf appropriate? Is parking available at Ripley's Old MacDonald Mini Golf? Is it free? We did not attend or do any mini golf.